This February, we are asking you to remember what you love most about UNC Charlotte. What impacted you the most while you were a student at UNC Charlotte? Was there a professor, student group, student activity, class, or conference that helped shape you to being the person you are today? Maybe you met your best friend at UNC Charlotte or a spouse? For the entire month, let's celebrate our love for UNC Charlotte! 1. Make a gift to support the area on campus that means the most to you. 2. Share your story by using #iLOVEUNCC. 3. 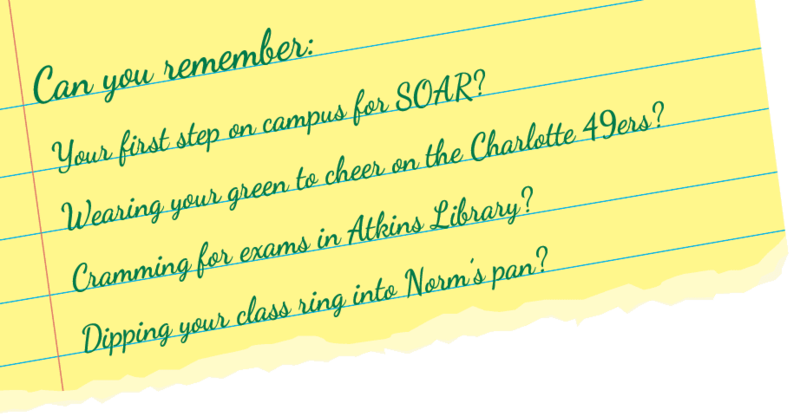 Tell a friend about #iLOVEUNCC and reminisce on the days on campus. See what people are sharing about #iLOVEUNCC! 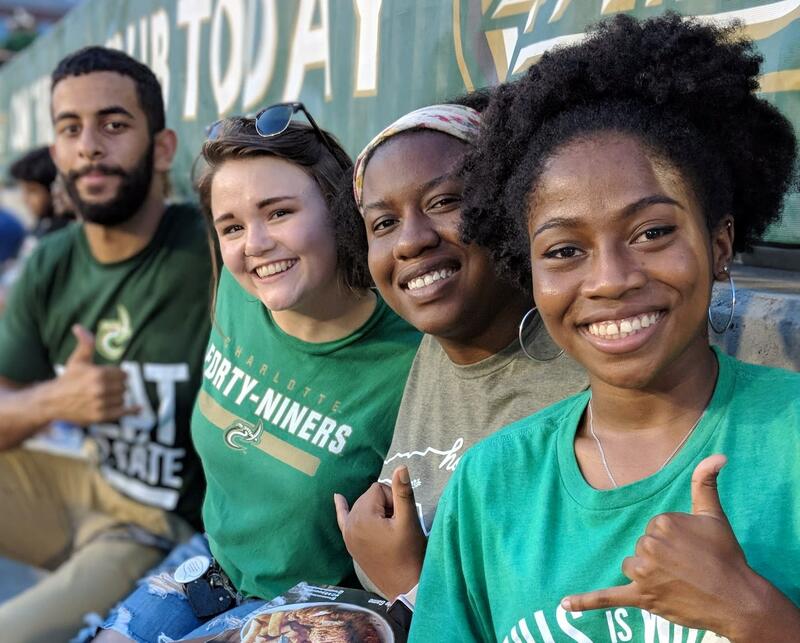 Or you can contact us at ninernationgives@uncc.edu.